New Generation Schools are a new reform recently inaugurated by the MoEYS in 2014 to create ‘autonomous’ public schools with a mandate to innovate and improve educational quality. Access to high investment funds is contingent on high standards of governance and professionalism. This new development track seeks to move public schools to the next level so that they can achieve ‘maximal’ standards of education, especially in the STEM subjects. Under the new policy defining New Generation Schools, the government is able to make intensive investments in such schools under conditions that ensure high standards of good governance. With its system of strict accreditation requirements linked to on-going investment, the new policy incentivizes schools to adhere to high standards of education. 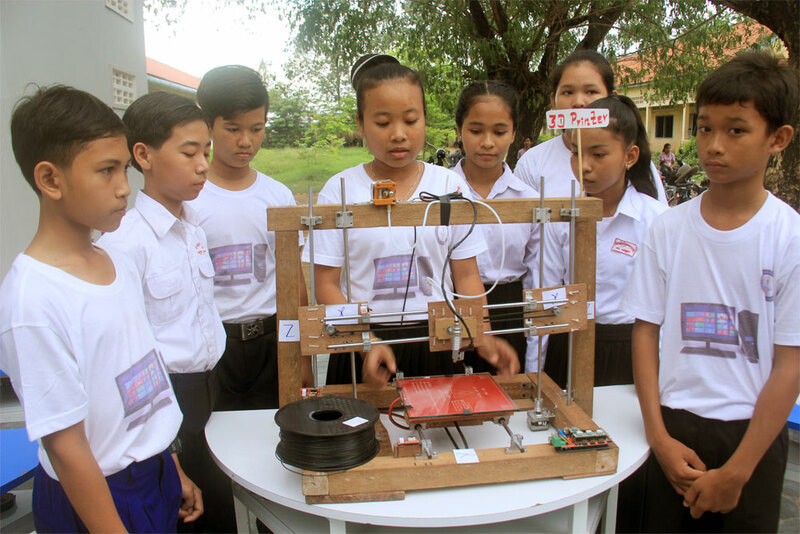 New Generation Schools follow precedents in other countries where some public schools receive greater autonomy from the state to stimulate educational innovation. This speaks especially to the Charter School Movement. Successful Development of 113 Operational Policy Guidelines to assist other development partners to replicate New Generation Schools within a clear policy framework. Expansion of the NGS model to a total of 9 sites in 4 provinces including two new secondary. Piloting of a ‘whole school’ model at two new sites in Phnom Penh and Kandal Province. Introduction of the NGS design into the primary school sector with MoEYS funding. Completion of an NGS Retreat in Kep led by the Minister of Education, Youth, & Sport. Expansion of NGS services at Hun Sen Kampong Cham HS. Design and implementation of 21st Century educational facilities including 59 modernized classrooms, science labs (25), 21st Century Libraries, and ICT labs (5). The principle of Youth Empowerment, as mandated by the MoEYS’ National Youth Development Policy, plays a key role in the New Generation School model. Youth Empowerment principles are manifested by student choice in the subject themes they wish to study, voluntary club membership, and an empowered Student Council that helps school directors to manage the school. In addition, counseling services provided to youth help to ensure that youth decisions regarding future career planning are well informed and wise. 21st Century e-Library – Counseling Services – Subject Clubs for Students – Life Skills Education – Electronic Assessment – Software-based Learning – Student Government led by Student Councils.